If you’re a customer of ours then you’ve probably already been enrolled into Covered California by your insurance agent and received an e-mail showing your case number and your plan and carrier. So what’s next? We suggest you create a Covered California account. Following is the “why?” and the “how?”. Why Should I Create An Account With Covered California? Covered California often requests document proofs from you to verify evidences like your income or citizenship. When you have created a Covered California Account, you can upload these documents directly to your account. The upload occurs instantly which you can verify. You won’t have to rely on a fax or the mail and wonder if your documents were ever received or processed. You can review your account periodically to make sure everything is accurate. Unfortunately, the truth is, that once in a while a computer glitch occurs or an error is made that could affect your account, and it is a good idea to make sure all of your information is accurate. It only takes a couple of minutes to log in to your account and check your enrollment, eligibility, and reported information, which is well worth being assured that your insurance and subsidy remain in place. You can also report life event changes if you have a Covered California account. If you change your address, get married or have a birth in the family, or lose or gain income, you are required to report these types of changes. You can report the change yourself, if you have created an account. How Do I Create An Account With Covered California? Before you begin you will need an Access Code which will allow you to view and have access to the account that your agent created for you. You should have received your access code in the confirmation email that was sent to you short after enrolling in your On Exchange plan. 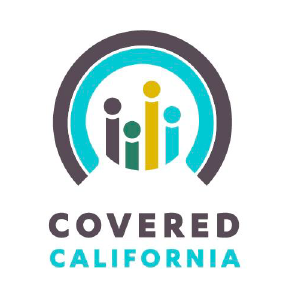 If for some reason you didn’t receive your access code or have misplaced it, you can still get it by calling your Health for California Insurance Center Agent at 1-877-752-4737. Click the check box and “Continue” after you read the Terms and Conditions. Supply the requested information and click “Yes” you have an existing case to link to this new account. Enter you access code. After you successfully create an account, you may be required to log back in. You will be asked to choose some security questions and give the answers. (You won’t want to forget these either, so write them down and keep them somewhere safe.) Then click “Continue”. Now you will be able to review your Covered California account and access it at any time. If you’re having any trouble creating or accessing your account, our team is happy to help you find answers to your questions. Feel free to give us a call 1-877-752-4737 for personal assistance.